The Trixon Cocktail Kit was introduced in 1962. Its unique design was a real emancipation for the drummer or percussionist. 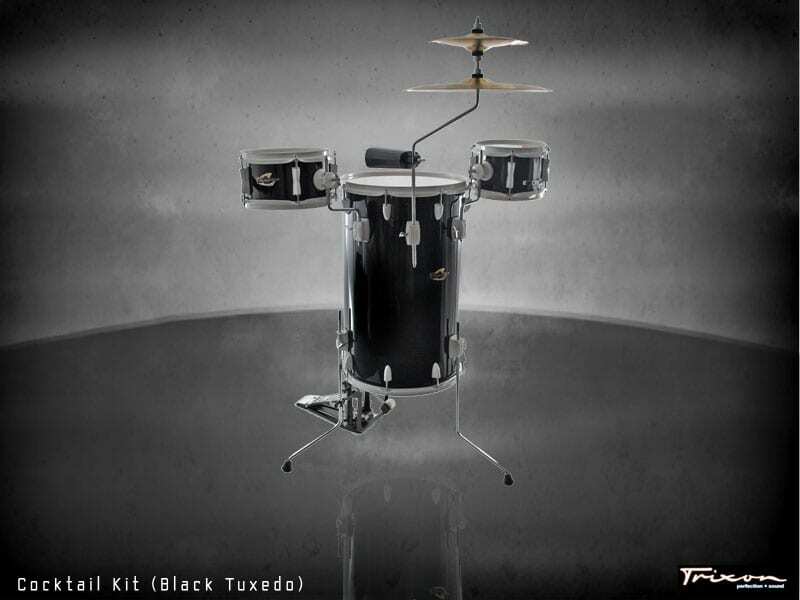 No longer confined to sitting behind a drumset, the Cocktail Kit gives the player plenty of choice and freedom. The Cocktail Kit offers German Styled hardware with our R-1 Bass Drum Pedal and Fissaggi Cymbals by Francesco Benedetto. All Birch Shells make this kit a real projection powerhouse.